Located in the small town of Elmira, New York, Arnot Health has a lot to offer its community, including strong service lines like cardiology and orthopedics. However, after being quiet in the market for many years and being overshadowed by their competitor, community members had forgotten just how capable Arnot Health was. While creating a brand campaign that would refresh the look, feel and message of the brand, we wanted to get new content into the market as quickly as possible to remind the community that Arnot was still going strong and was a great place to get care. 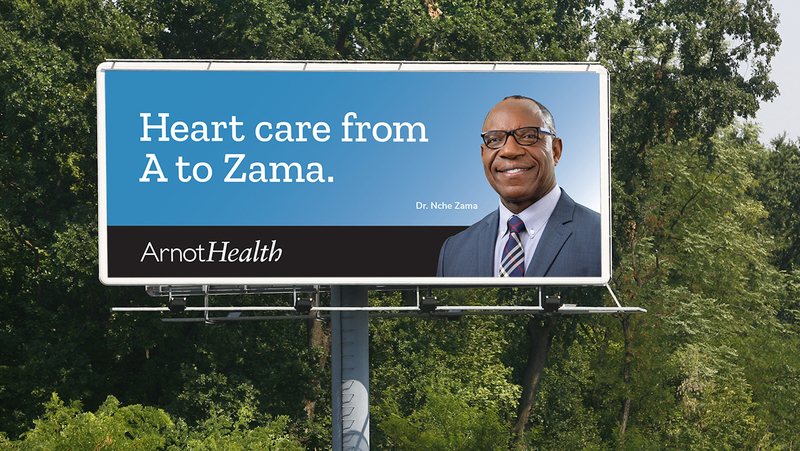 This brought us to our cardiac marketing campaign featuring their Director of Cardiothoracic Surgery, Dr. Nche Zama. Dr. Zama had practiced with the competitors some years ago, so he already had established a good reputation in the community. His fondness for the area brought him back to Elmira, but this time with Arnot Health – a statement we wanted to emphasize. Dr. Zama is not only an amazing surgeon and doctor, but also a charismatic person with an incredible life story. We leveraged his personal stories combined with world-class education and experience to show that Arnot was truly home to top cardiothoracic care, and could handle almost any heart problem someone could have. 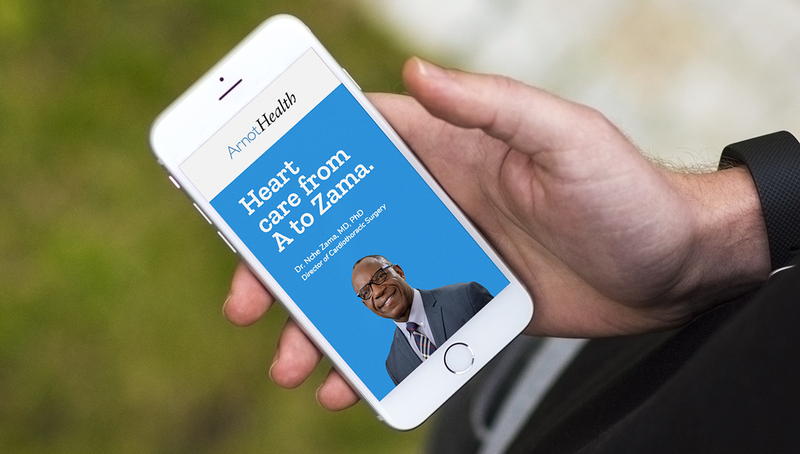 To create broad awareness we used billboards, search ads, and social media to showcase Dr. Zama’s mission to bring world-class cardiac care to the region.